The 10th season for Challenge of the Americas closes out this weekend with the final two rounds of the championship chase to be contested at the Simraceway Performance Karting Center. 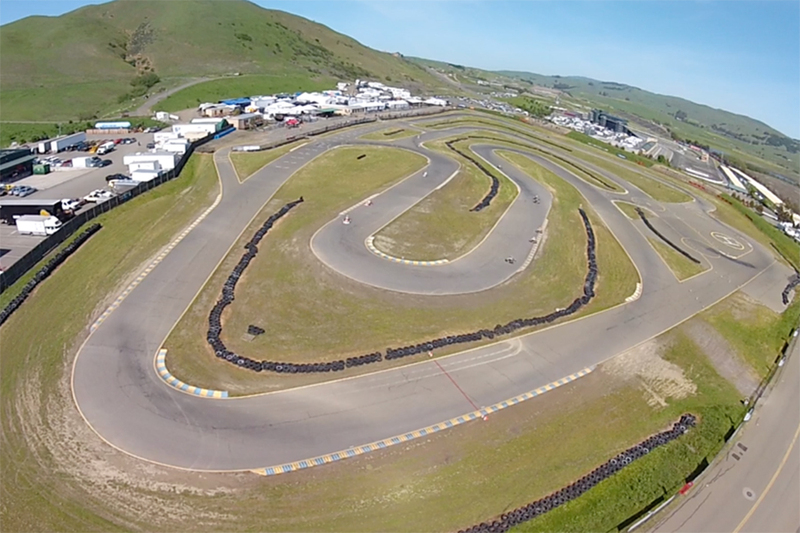 The Sonoma, California facility has been part of the premier winter karting series on the left coast since the beginning in 2008, hosting the finale event for the last four years. Racers in Rotax, Shifter and Briggs categories will take on the 7/10-mile course in the ‘Reverse National’ layout – similar to last year’s series finale. The Simraceway circuit is among the top courses for karting in North America. The track appears to be flat, however, there is a good amount of elevation change from the long main straight down to the popular tic-tac-toe section. And the view is amazing, with the track nestled on the side of Sears Points of the Sonoma Mountains. eKartingNews.com is continuing its sixth straight year covering Challenge of the Americas with the ‘Trackside Live’ program. Race fans and family members can enjoy the live timing provided by Race Monitor, while listening to the voice of the Challenge – Rob Howden – give the play-by-play call of the on-track action. The EKN Live program can be streamed to your laptop or computer, and on mobile devices all from one page – ekartingnews.com/live. Daily reports, forum and social media updates can be access through the EKN Event Page. A number of prizes are on the line this weekend in the championship chases, including three tickets to the 2017 Rotax Grand Finals – set for Portimao, Portugal in November – for the Senior Rotax, Masters Rotax and Junior Rotax divisions. 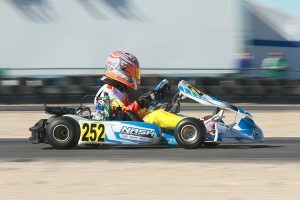 The Mini Max and Micro Max title winners are going to received a paid entry to the United States Rotax Max Challenge Grand Nationals, now scheduled for June 22-25 in New Jersey. Recently announced, the Challenge has added a $500 bonus to a driver who has not competed in the series that wins the Briggs 206 Senior category, making it a $1,000 to win. The Nash Motorsportz Senior Rotax division has always gone down to the wire for the title chase. 2017 is no different, this year involving four drivers heading into the finale event. Each of the four round winners are at the top of the standings, with defending champ Christian Brooks (Nash / FA Kart) holding the number one position. Brooks is coming off a sweep of Round Four, moving himself to the top of the point standings. The lead, when factoring in the drop, is just two points ahead of Round Three victor Bryce Choquer (BBR / PDB). Senior rookie Matthew Taskinen (RPG / Kosmic) sits third in the standings until you factor in the drop, then last year’s vice-champion Kellen Ritter (RPG / Kosmic) moves up. All four drivers are separated by 41 points when factoring in the drop, with 120 maximum points for each round. Both Brooks and Choquer have won at Sonoma before, with Ritter and Taskinen needing to add to their win total to help move up the standings. The Rolison Performance Group Junior Rotax division is a two driver battle, featuring two of the best in the United States. 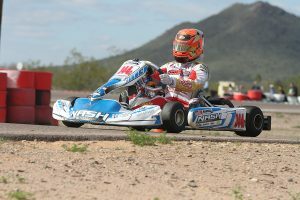 Jak Crawford’s (Nash / FA Kart) two win weekend in Phoenix propelled him to the top of the standings, entering the weekend with a 55-point advantage over Hannah Greenemeier (RPG / Kosmic). 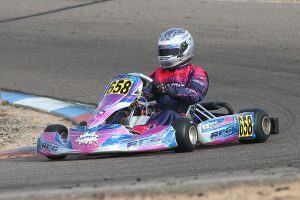 Crawford is a former Micro Max champion at the Challenge, entering his rookie season in the Junior ranks. Greenemeier was in contention for wins at the end of the Challenge last season, and has been in the hunt the first two events of 2017. The best odds for the Cambrian Go-Karts Masters Rotax division is on Billy Cleavelin (RPG / Kosmic). A longtime veteran of the sport, he found a new home in Rotax racing, qualifying for the Team USA squad to the Rotax Grand Finals in 2016. His number one goal was to return this season, and his four wins in four rounds of the Challenge put him in line for the ticket to Portugal. David Pergande (FTK / Tony Kart) is the lead challengers, 79 markers back of Cleavelin with Chad Wallace (BBR / Birel ART) showing big speed this year. A good crop of drivers will be in Sonoma this weekend looking to spoil the party and break up Cleavelin’s win streak. The Brash Racing Mini Max title looked to be former Challenge champion Diego LaRoque. The 2016 Rotax Grand Finals Micro Max victor won the opening two laps, going winless at his home track in Phoenix. LaRoque will not be in Sonoma due to schedule conflicts, thus opening the door for one of two drivers. Jack Armstrong (Podium / Benik) has been to both events, and now inherits the championship lead. Last year’s Micro Max Challenge champion Ashton Torgerson (BBR / PDB) won both features in Phoenix, and now has the ability to leap over Armstrong depending on the results and number of drivers that compete this weekend. Three drivers sit within 79 points in the Podium Karting Micro Max championship chase. Sebastian Mulder and Parker DeLong hold the same amount of points after the first four rounds of the program, with Mulder (Benik) taking the advantage when factoring in the drop. DeLong (Benik) is just 31 points back with Tyson Quach (CompKart) still in the hunt, behind by 79 markers.